Tsuchiya Yasuchika I [Japanese text], b. 1670, d. 1744, also signing Tōu [Japanese text], was another pupil of the Ko-Nara, who struck out a new line and abandoned pictorial figure-work for more purely decorative designs founded on the impressionist style of the painter-lacquerer Ogata Kōrin. 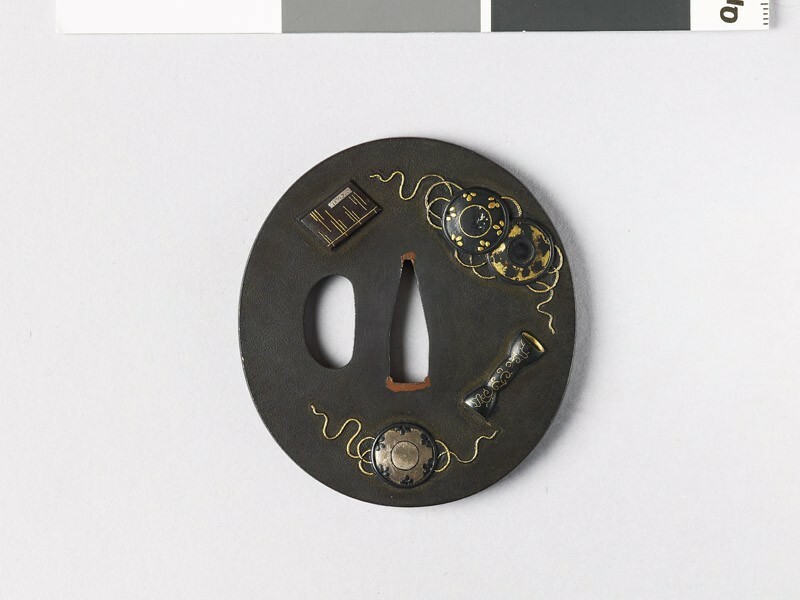 His intention is rather to form an effective colour-scheme by a judicious choice and arrangement of materials than to work out a good illustration of the subject under his hand. 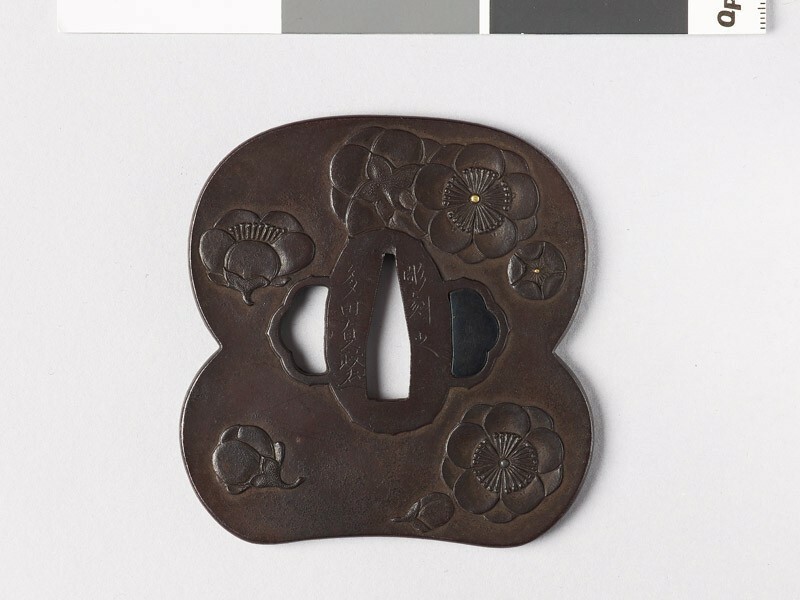 His style was to some extent followed by five successors, all signing Yasuchika, and by a number of pupils, although the later representatives favoured the Ukiyo-ye or Popular School of design and succumbed to the fusion of styles and methods characteristic of much 19th century work. 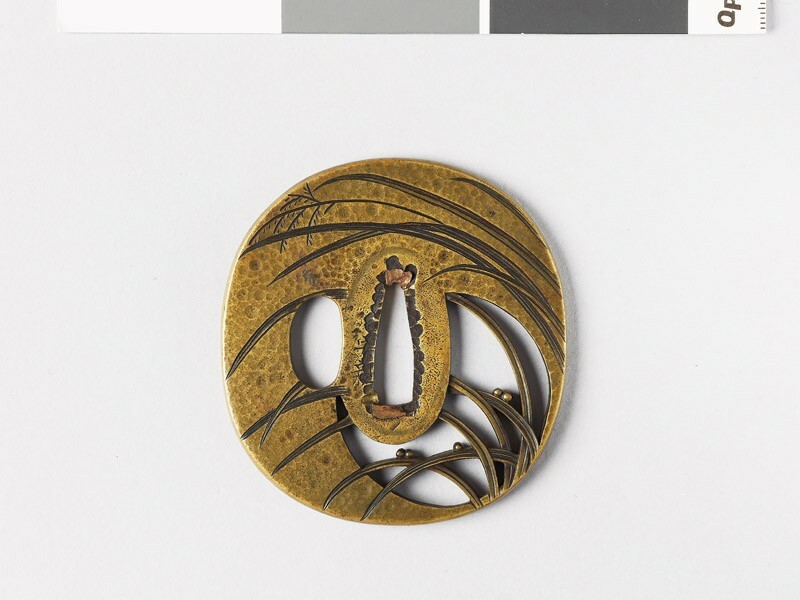 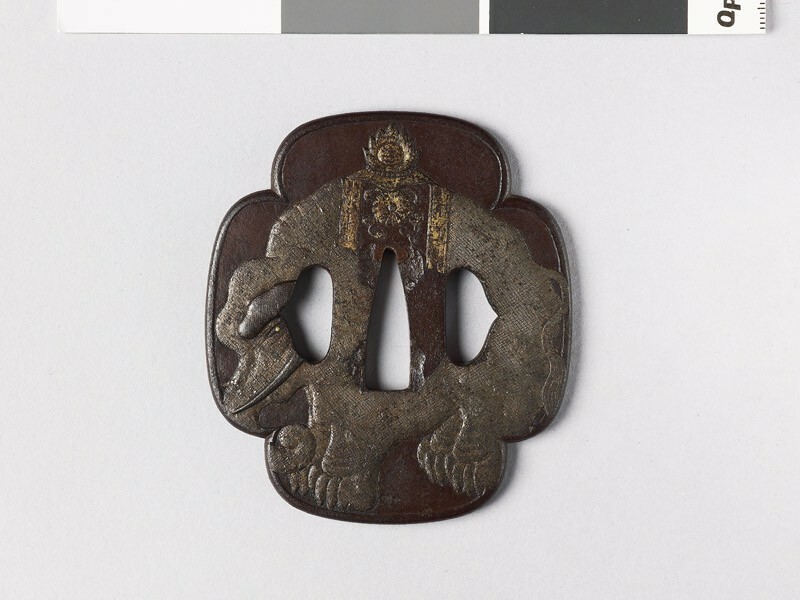 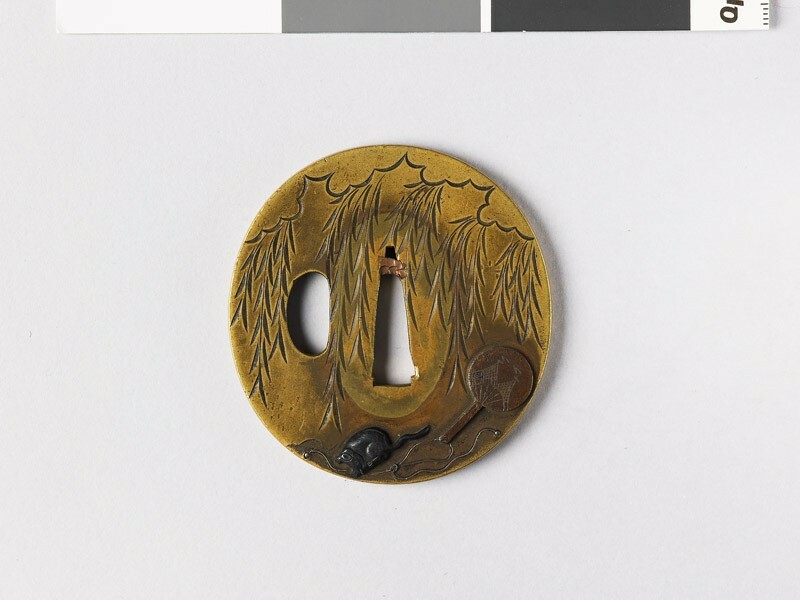 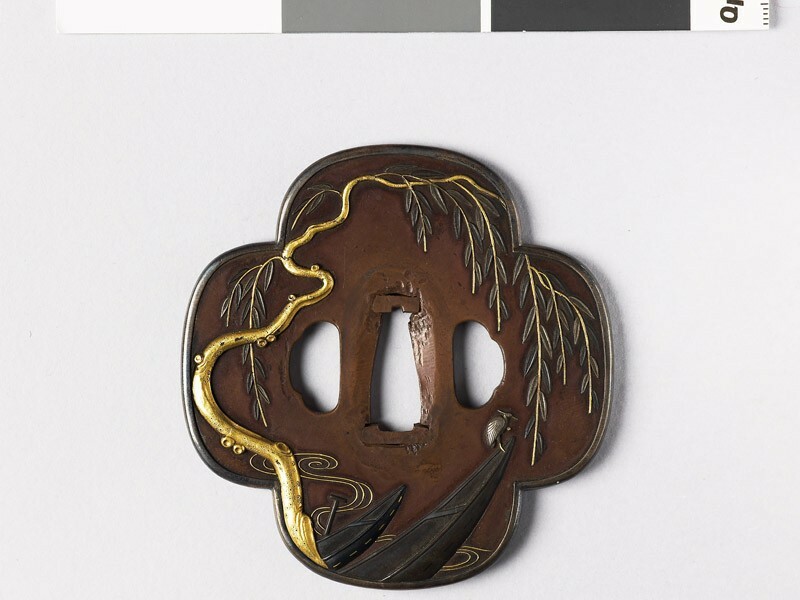 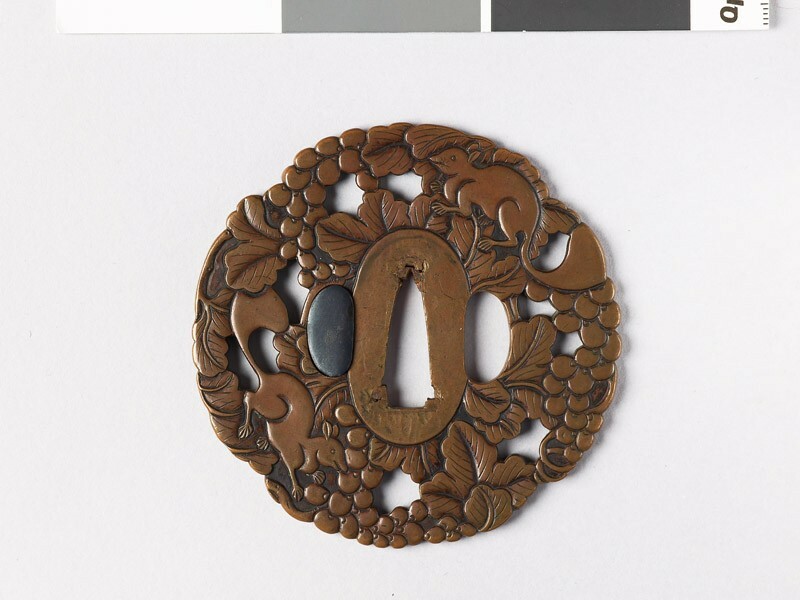 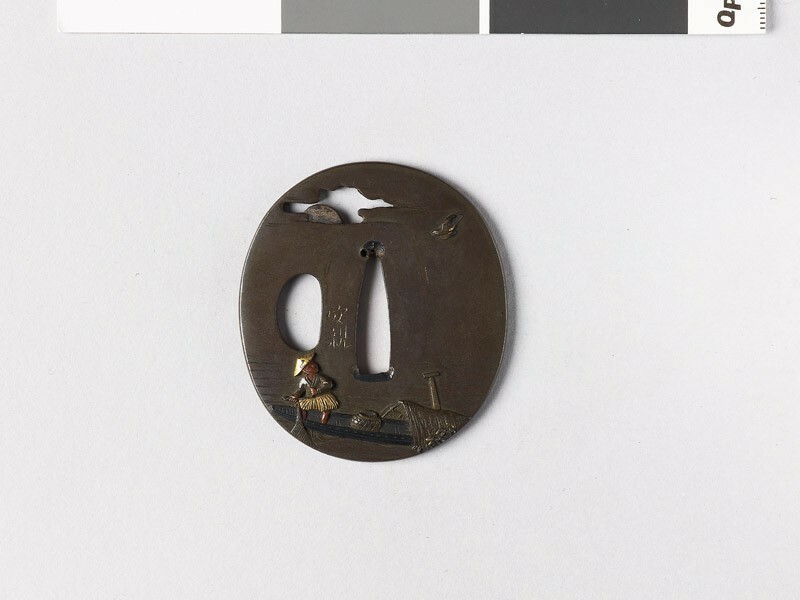 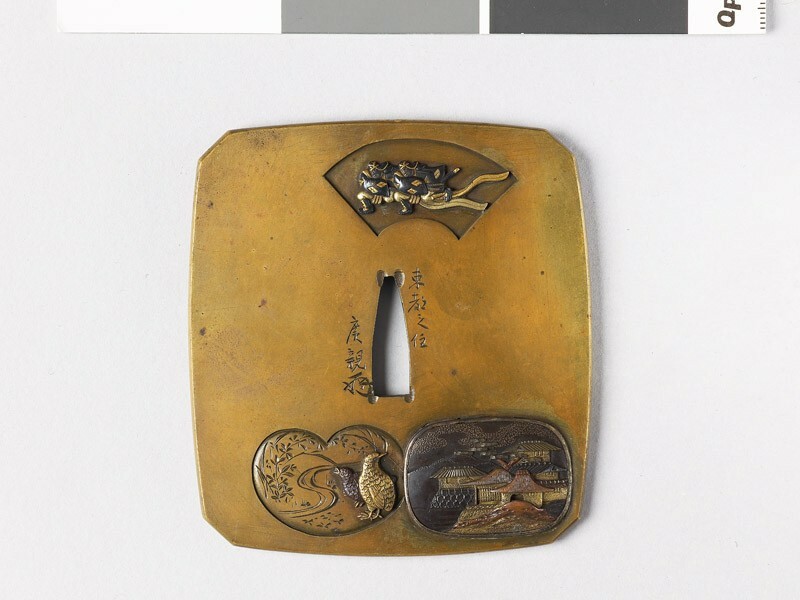 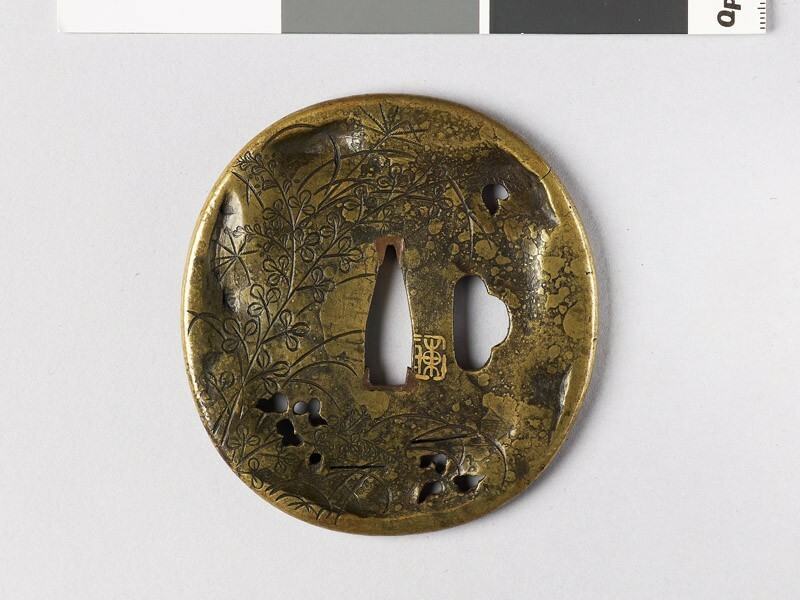 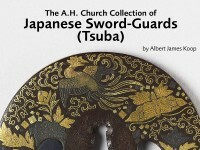 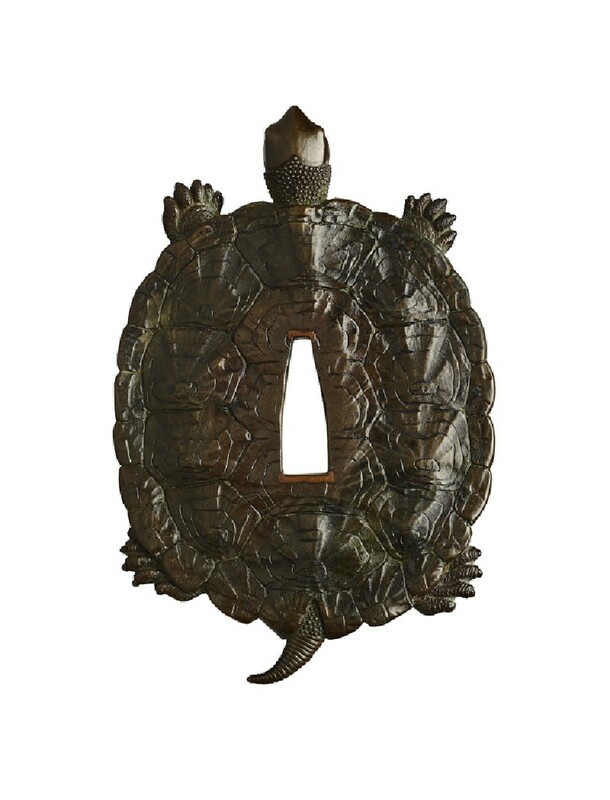 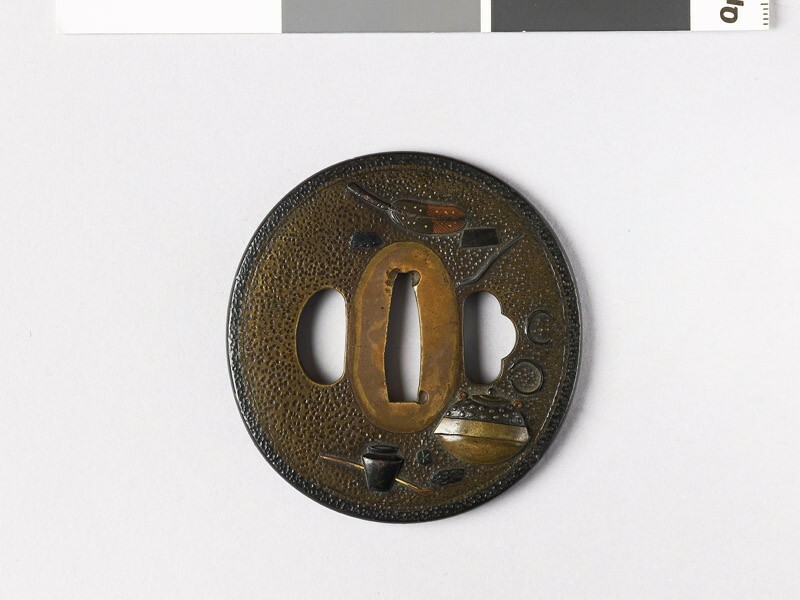 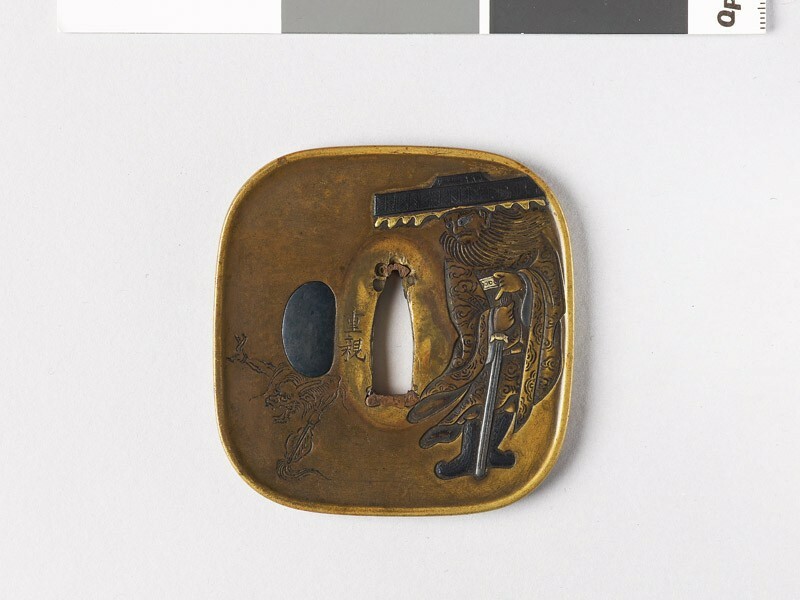 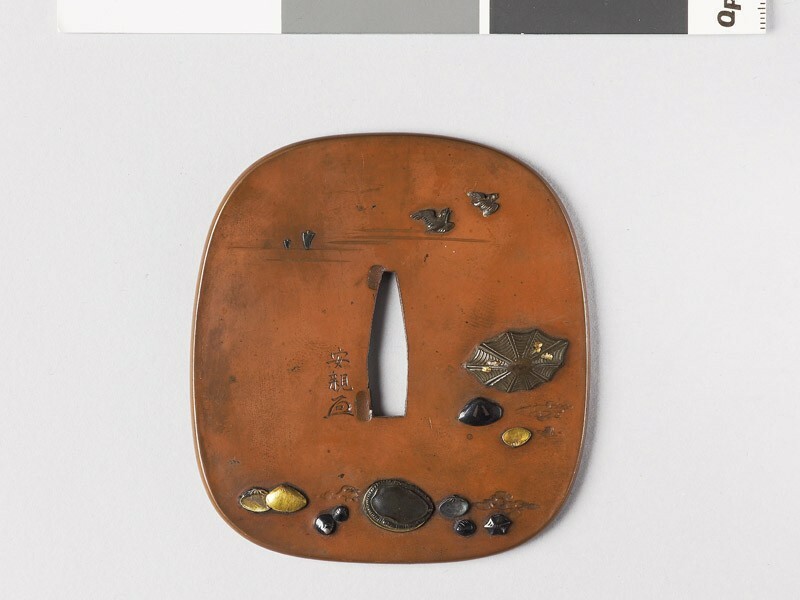 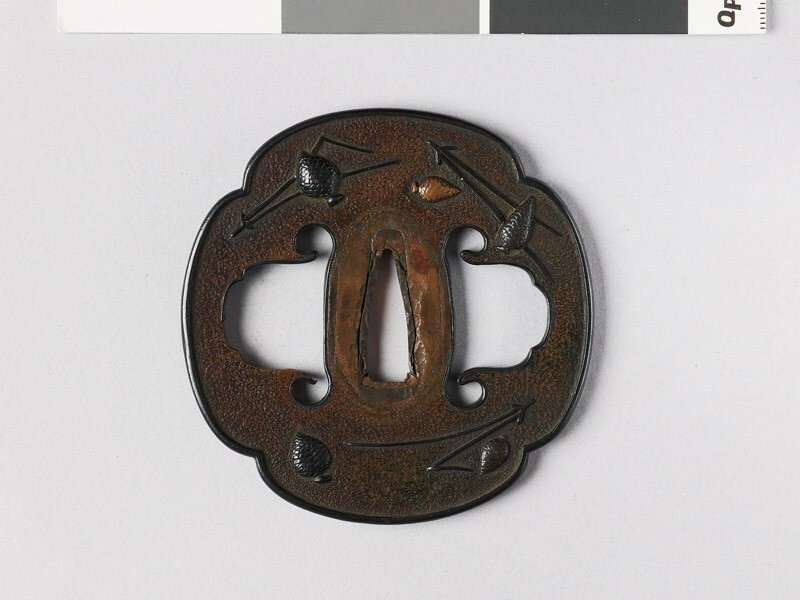 Besides iron, the favourite grounds are copper and sentoku, other metals and alloys being drawn upon mainly for the designs thereon encrusted or inlaid.